I definitely remember my teachers repeatedly stressing that a balance sheet must balance. As simple as it sounds it is very revealing to how healthy the business really is. 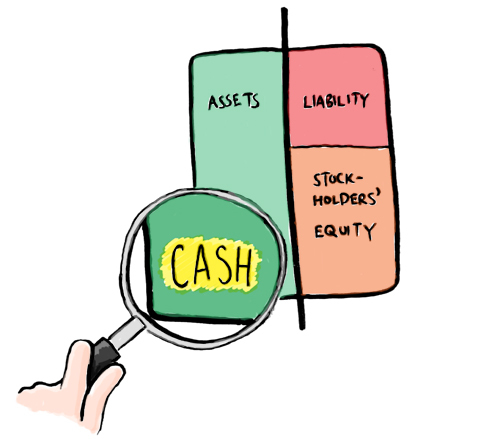 I’m looking forward to your post on cash flow as that is the real meat of understanding a business at the points where P&L and BS are interacting. One thing that could be said about balance sheets is how they differ from P&Ls in that BS are a snap shot in time while P&Ls are a statements of activity over a period. One of the best uses of a BS is looking at several to see trends which is what you will get into with the cash flow statement. The funny thing with bankers is that we almost always review a balance sheet first and then look at the P&L. Contrast this with business owners typically spending the most time on the P&L. The BS shows the structure of a business and helps you make assumptions as to what the P&L should look like. Great series and looking forward to more. This post was originally written by Fred Wilson on March 22, 2010 here.